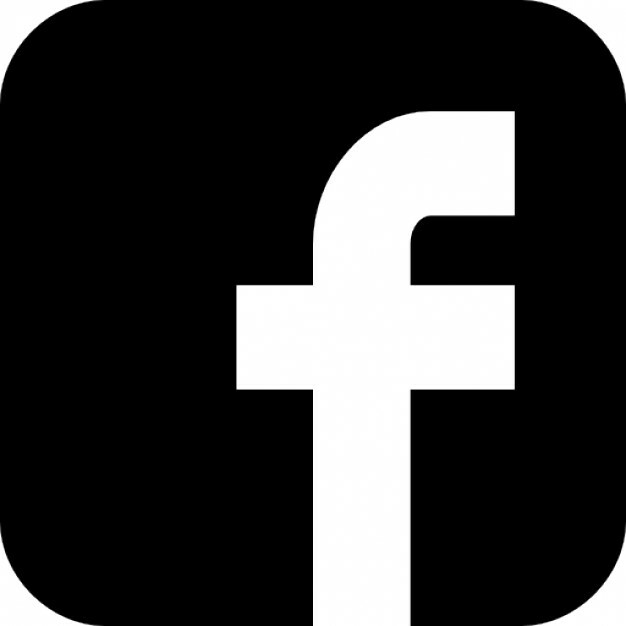 Hello, Friends! 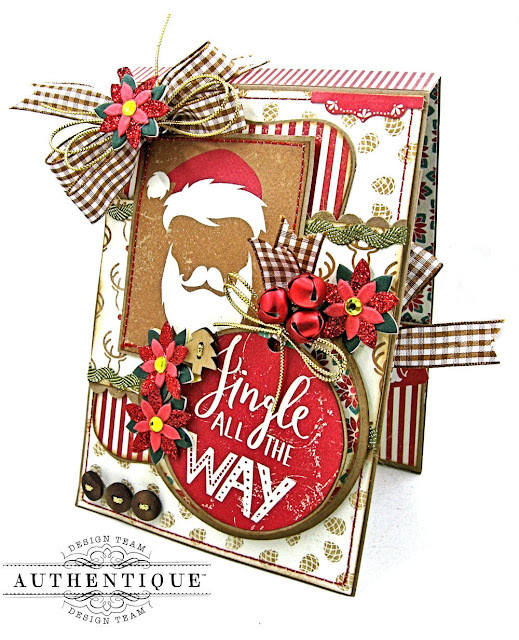 It's Kathy here with a great Christmas project using Authentique's Colorful Christmas Collection. 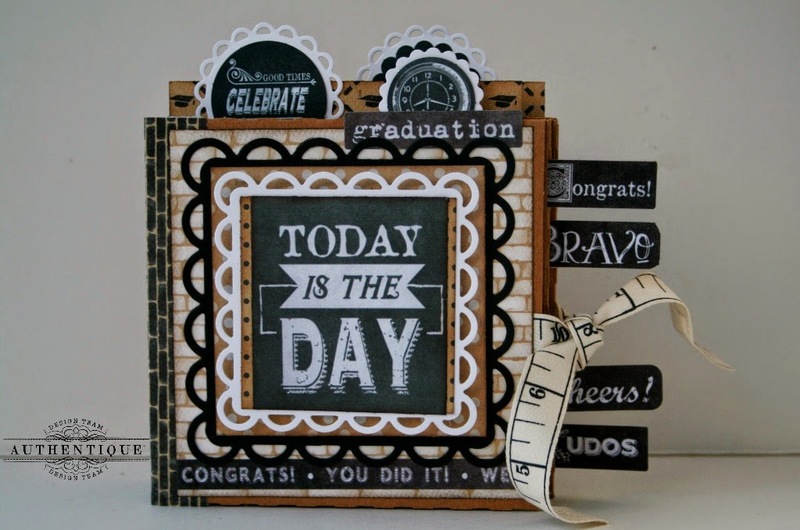 This interactive card folio has a scored spine, pockets and interactive elements that make it a cross between a greeting card and a mini album. These card folios are quick to make, and a great way to preserve your holiday memories. They are also great to give as gifts. 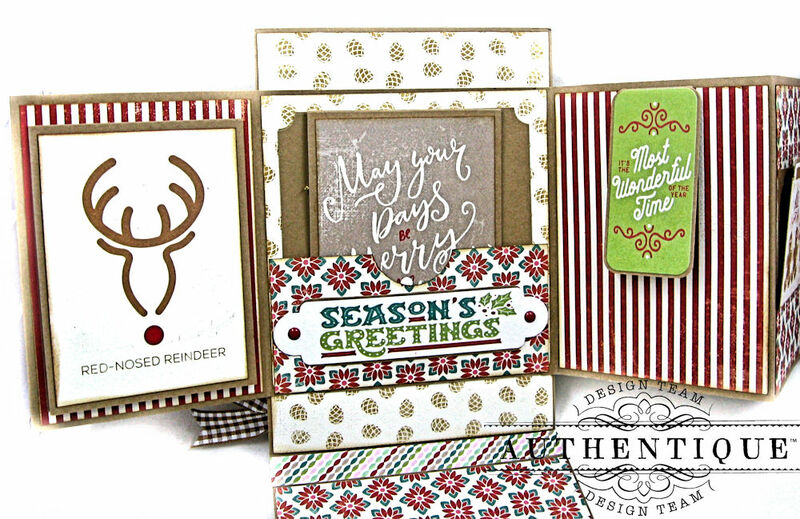 The festive colors in this collection remind me of a gingerbread house. 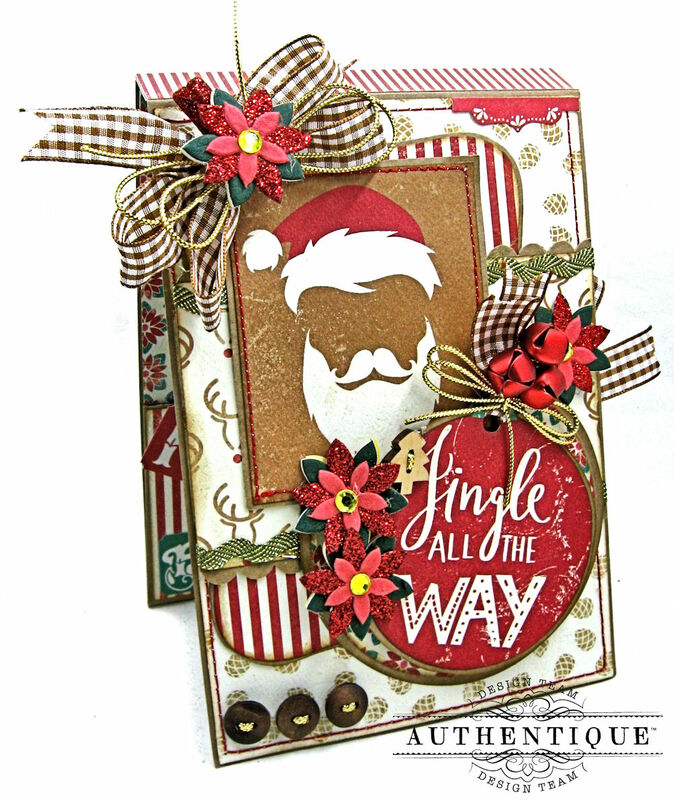 And don't you just love this dapper Santa image? The cut apart page in this collection has so many festive sentiments and images that you will have a hard time choosing which one to use first. I fussy cut the Jingle All the Way ornament from one of these cards, matted it on kraft cardstock and dressed it up with jingle bells, ribbon and flowers. This 5" x 7" folio base has a 1/2" spine, leaving lots of room for goodies on the inside! See what I mean? It's like a Christmas party in here! The accordion fold album on the top has room for 3" x 4.75" photos. It's loaded with fold outs, flip up, flaps and folders. You'll find plenty of room to tuck in gift cards or write down special holiday memories here. 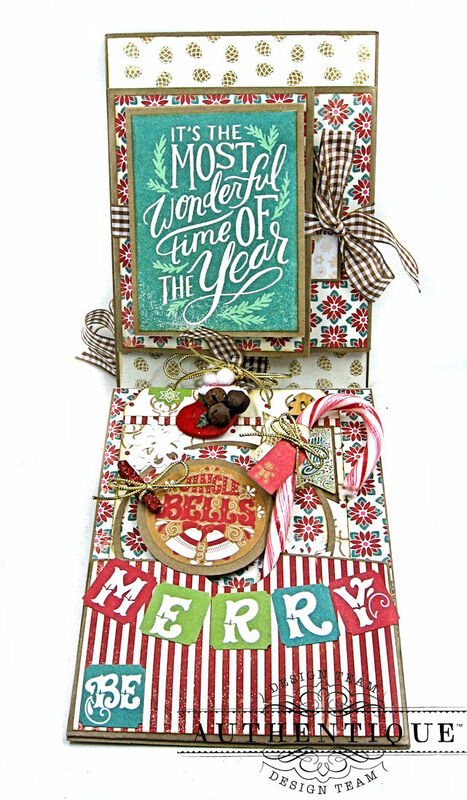 The large pocket on the bottom of the card folio holds a decorated candy cane and this vibrant holiday tag. 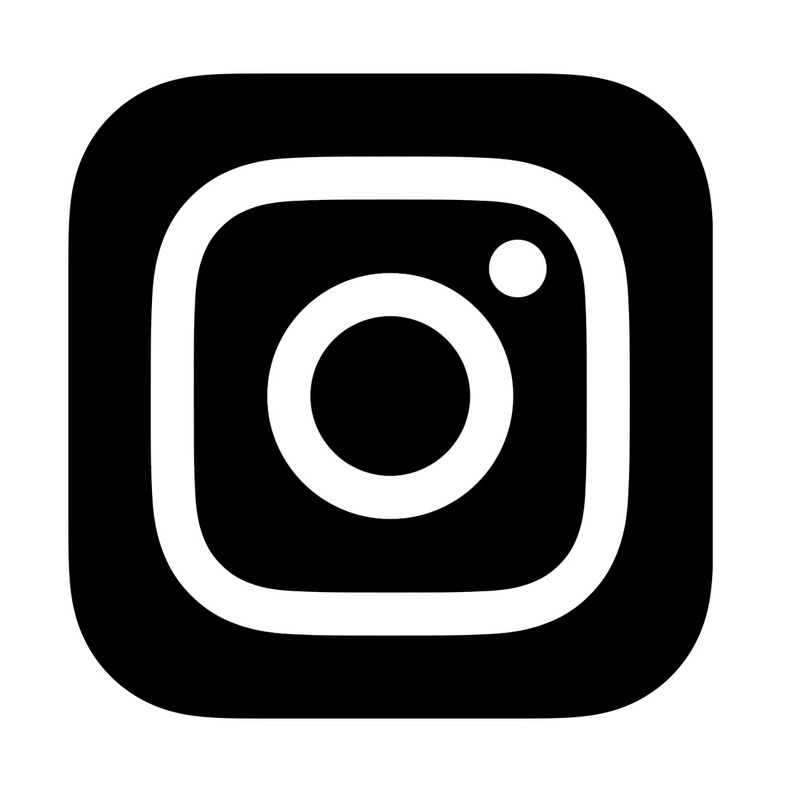 I created a YouTube video tour and tutorial for this project. 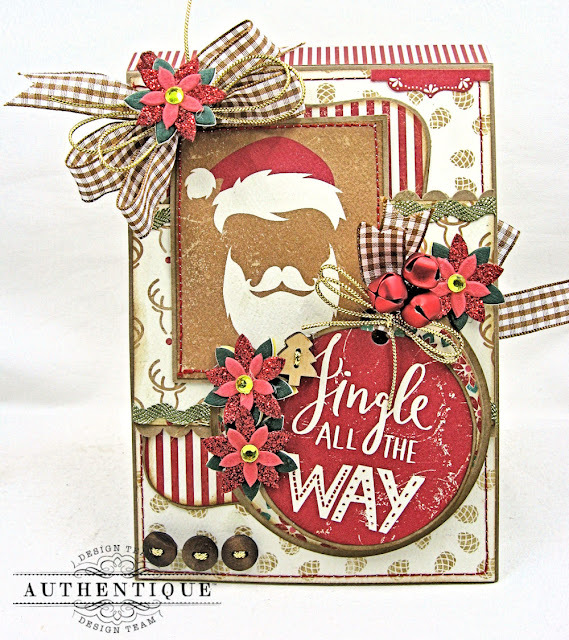 You'll learn how to build the folio base from kraft cardstock, how to make the fun accordion fold album, and watch me as I build the card folio cover step by step. 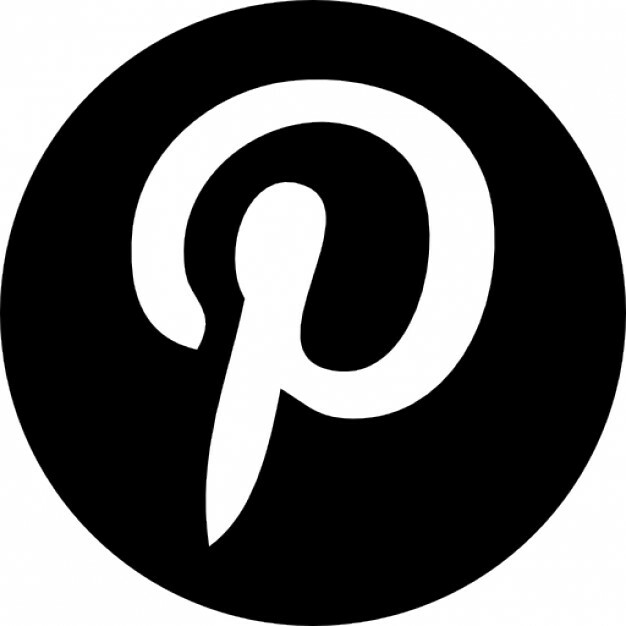 Are you ready to get your craft on? 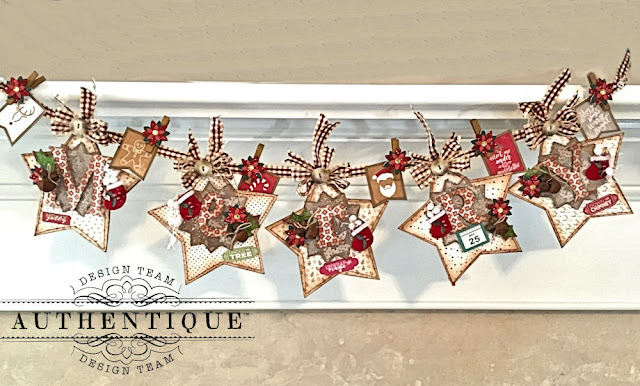 While I had all my Colorful Christmas Paper Pretties out on my workspace, I decided to make this Merry Christmas Star Banner, too. 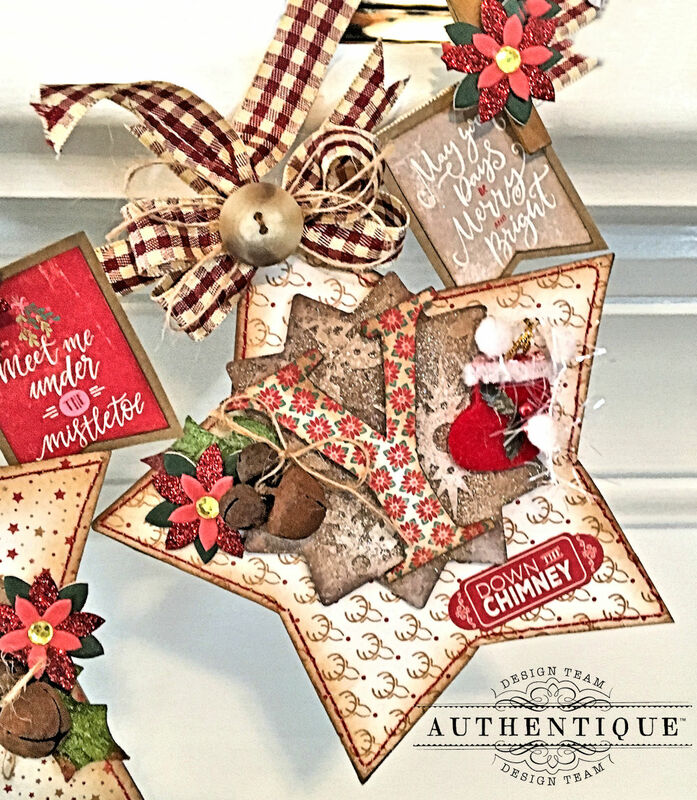 I've used 6" wide chipboard stars as pennants, and then decorated each star with papers from the Colorful Christmas 6" x 6" Bundle. 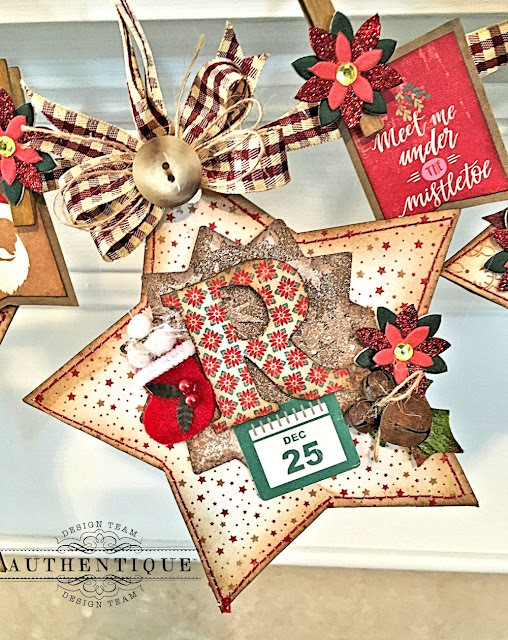 I stitched around the perimeter of each paper star, then glued it onto the chipboard base. I found an assortment of large chipboard letters in my stash, covered them with paper, then inked around the edges. 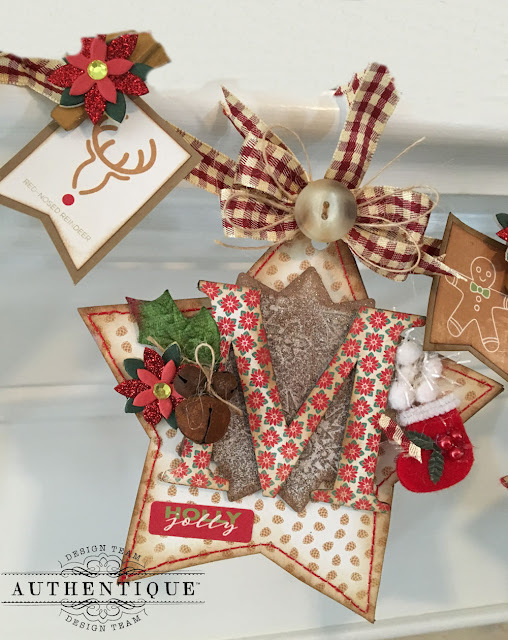 I die cut a kraft star shape using Spellbinders Exquisite Circle Die.&nbsp; Then I ran each star layer through my die cutting machine in a snowflake embossing folder that had been inked with Versamark Embossing Ink. 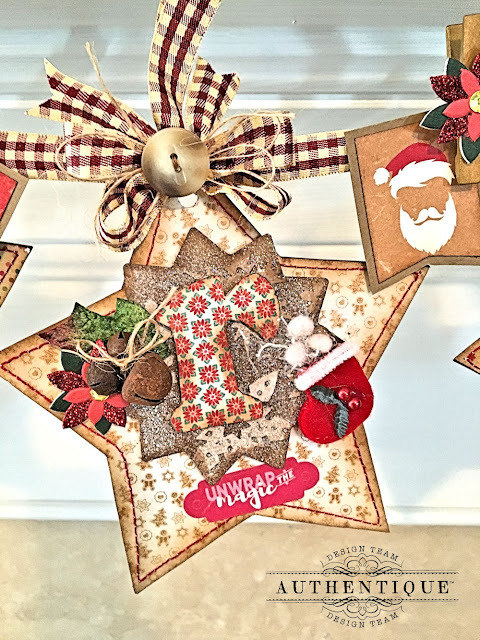 After embossing, I sprinkled the kraft star with clear glitter embossing powder and heat set. This created a wonderful frosty surface for the letters to rest on. Next I simply embellished with stickers and Christmas goodies from my stash, punched a hole in the top of each star, and threaded ribbon through the holes. Bows, twine and buttons are added at the top of each pennant. Finally, I cut fishtails on the images and sentiments from the cut apart page and clipped them between each star with a mini wooden clothespin. 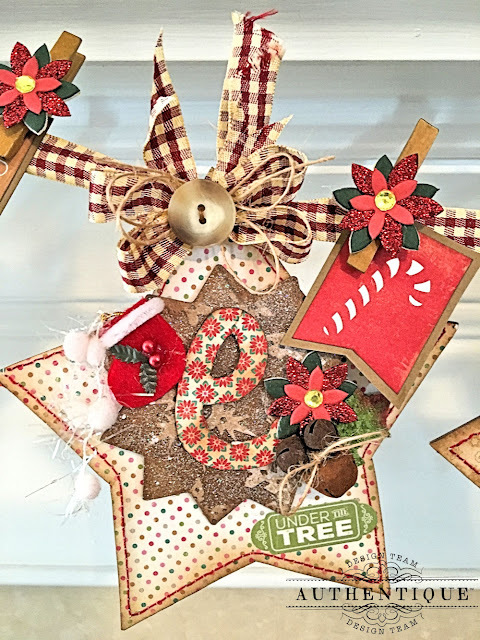 I hope I've shared some ideas that you can use in your own holiday creations. This collection is loaded with so many beautiful patterns and images that I've barely scratched the surface here. 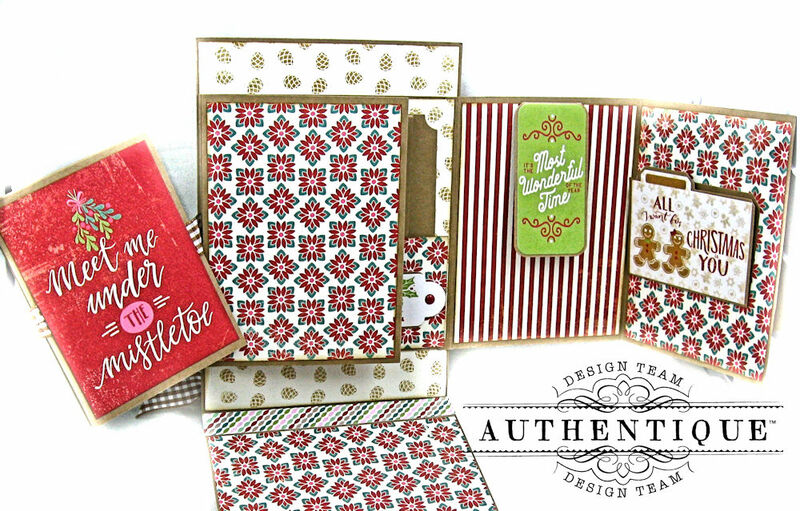 Wishing you time to create during this busy holiday season! Yes, I have been inspired today! All I need now is some hot chocolate and some quiet time to watch the video. 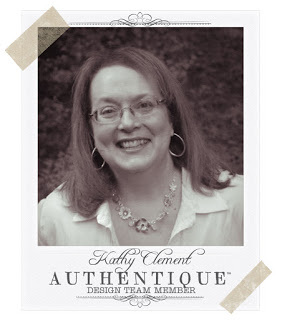 Love all of your fabulous and festive projects today, Kathy!! So perfect to get me in the mood to do more than just Christmas cards!